Here's where to watch every episode of The Crystal Maze season 1. Mouseover or tap an episode to see where to stream it. Click or tap the play icon to stream it on the best available service. 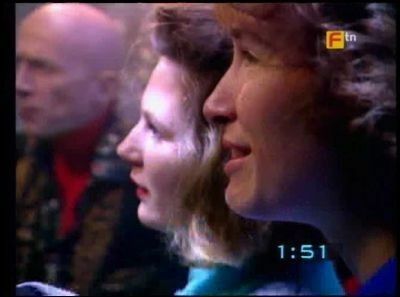 Nick Hall (22), Fraser Renton (22), Louise Fothergill (22), Angela Goddard (37), Yvette Mayo (29), Ken Day (25) Feb 15, 1990 This is the FIRST EVER episode of The Crystal Maze. 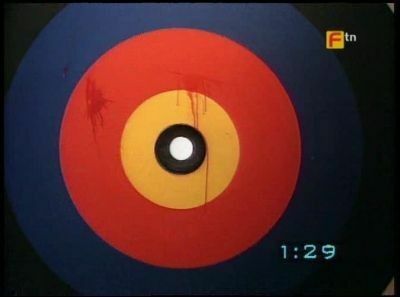 It was a British game show, produced by Chatsworth Television and shown on Channel 4 in the United Kingdom between 15 February 1990 and 10 August 1995. 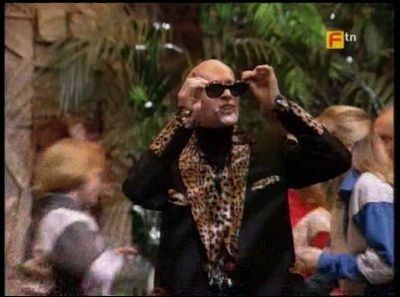 There was one series per year, with the first four series presented by Richard O'Brien and the final two by Ed Tudor-Pole, who made his debut in the 1993 Christmas special. Each show was one hour long, including adverts. Andrew Livsey (32), Andy Harris (26), Sue Whatley (25), Jayne Fleat (16), Marcia Scott (21), Michael Court (36) Feb 22, 1990 The Second Episode. The Show was originally intended to be a British remake of the French programme Fort Boyard, devised by Jacques Antoine. However, the unavailability of the French show's set led British producer Malcolm Heyworth to reinvent the show using themed zones as a means to keep the show visually fresh. Andy Champion (41), Sarah Brothwell (?? ), Simon Cummins (27), Sally-Ann Ockwell (24), Trever Grundy (37), Melinda Brecknell (22) Mar 1, 1990 The Third Episode. 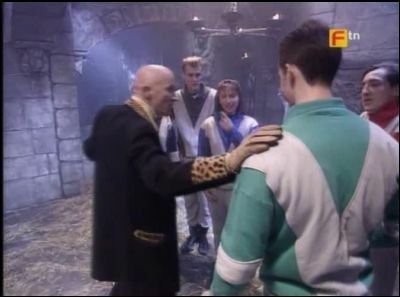 The series is set in "The Crystal Maze", which is set within four different "zones" set in various periods of time and space. A team of six contestants take part in a selection of challenges in order to win "time crystals". Each crystal gives the team five seconds of time inside "The Crystal Dome", the heart of the maze where the contestants take part in their final challenge. Sharon Jackman (30), Sue Macey (24), Glyn Talbot (22), Andrew Williams (23), Charlie Baker (21), Sara Marks (30) Oct 1, 1990 The fourth Episode. The Crystal Maze was one of the most daring and popular programmes produced by Channel 4. The maze cost £250,000 to build and was the size of two football pitches. The show was at the time the most watched on Channel 4, attracting up to 7 million viewers at its height and has been described as "a highly-ambitious, high-risk show that paid off handsomely." Ian 'Jogger' Jones (20), Howard Fuller (25), Jane Barling (24), Nicola Willis (27), Clare McKennon (24), Vincent O'Sullivan (28) Mar 15, 1990 The Fifth Episode. 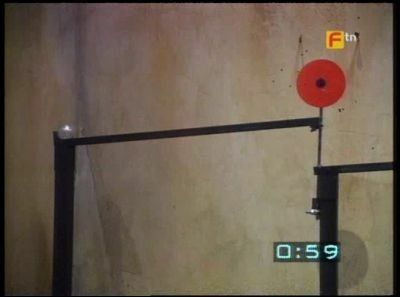 Originally, Chatsworth Television intended to make a British version of the French show Fort Boyard, but when it became clear that the fort would not be available at the time of the pilot show, Fort Boyard's creator Jacques Antoine was consulted about developing an alternative format that could be shot elsewhere. 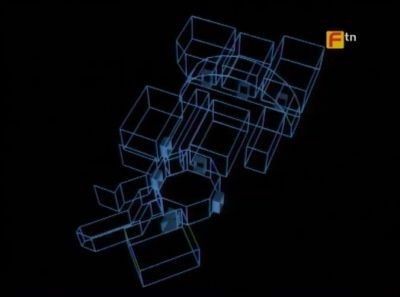 As a result, the show ended up using a concept similar to Fort Boyard, but was substantially different in presentation and style. It was filmed on a very large set, originally at H Stage in Shepperton Studios, but in later series at an adapted aircraft hangar named Aces High Studios, at North Weald Airfield in Essex. Channel 5 later bought the rights to Fort Boyard and made their own version, using the original set, running from 1998 to 2001. Lorraine Molloy (20), Jane Pares (29), Paul Alford (26), Jim Collier (34), Pamela Hodgkins (30), Mark Goodman (23) Mar 22, 1990 The Sixth Episode. The set was divided into four "zones" set in different periods of time and space. For the first three series, the zones were Aztec, Futuristic, Medieval and Industrial. From series four onwards Industrial was replaced by Ocean (set on the S.S. Atlantis, a sunken ship trapped in an air bubble on the edge of an abyss in the Pacific Ocean). At the centre of the maze was the Crystal Dome, a giant geometric acrylic glass 'crystal' where the teams play their final challenge after playing games in each of the four Zones. Pat Brown, Gad Delworth, Claire Bethell, Elaine Day, Martin Murphy, Jeremy Taylor Mar 29, 1990 The Seventh Episode. The objective of the show was to amass as many 'time crystals' (golf ball-sized Swarovski glass crystals) as possible by playing the games in each zone. When the team reached the Crystal Dome, they had to collect as many gold "tokens" as possible in order to win a prize. Each crystal that the team won earlier would allow them five seconds of time in the Dome. Celia Poole, Alison Horne, Nigel Ward, Jeffrey Priest, Philip Hawthorne, Elizabeth Reeves Apr 5, 1990 The Eighth Episode. In each episode, a team consisting of three men and three women (including a team captain and vice-captain) would enter the 'maze'. The teams were put together by Chatsworth from individual applicants, only meeting each other for the first time on the day before filming their episode. Gameplay was co-operative throughout. Starting from a pre-determined zone, the team played three or four games of various types in each zone, travelling through the four zones in either a clockwise or anti-clockwise direction. At the end of the show after playing all four zones, they entered the Crystal Dome. Dawn Window (28), Alan Holloway (21), Russell Barrett (21), Paulette Gordon Stewart (32), Martin Robertson (29), Fiona Thompson (29) Apr 12, 1990 The Nineth Episode. Before each game in a zone, the team captain (or vice captain should the team captain be locked in) would choose which contestant would play and which type of challenge the game would involve. Games were classed as either: Physical (tests of speed and strength) Mental (tests of brainpower often involving maths or word association) Skill (tests of dexterity and accuracy), Mystery (tests of logic and cunning). Julian Anthony (20), Alison Hayward (30), Michael Kempster (20), Kate Jackman (23), Christina Prodrumou (19), Philip Marsh (23) Apr 19, 1990 The Tenth Episode. The chosen team member would be sent into a chamber to play a game, and their team-mates could advise them from outside (except in specific mental games where the team would be instructed not to confer, although general encouragement could still be shouted in). Successfully solving the puzzle would release a crystal. John Kent, Pamela Murphy, Elizabeth Smart, Helen Egan, Edward Sutton, Jonathan Elliott Apr 26, 1990 The Eleventh Episode. Each game had a time limit of two, two-and-a-half, or three minutes. If the contestant failed to exit the chamber within this time limit, before the timer hit zero, they would be 'locked in.' Additionally in a minority of games, known as 'automatic lock-in' games, the contestant could also be locked in by committing a foul, for example by touching the floor if this was forbidden for that game, or by setting off an 'alarm' three times. If the contestant breached the penalty rules in an 'automatic lock-in' game, they would be locked in straight away, irrespective of whether or not they had obtained the crystal, and regardless of how much time they had left. Contestants who were 'locked in' were unable to play further, unless the team captain chose to buy a contestant's freedom at the cost of a previously earned crystal, which could be done at any time after the lock-in. Peter Kelsey, Mark Wynn, Charlotte Elwes, Frances Webb, Cythy Alford, Miles Hadrill May 3, 1990 The Twelfth Episode. Buying out a 'locked-in' contestant required a team member to physically take a crystal to the chamber where the contestant was locked in, leaving the crystal there in exchange for their 'bought-out' team-mate. If the team had since moved one or more zones further in their journey around the maze, this buying-out was represented as a lengthy trip back through the maze that effectively took a second contestant out of action for at least one game. If both the captain and vice-captain were locked in, a new captain would be elected on the spot, although this never actually happened. Andrew Goodman (21), Kate Clarke (18), Rob Smith (31), Liz Cummins (28), Paul Griffiths (29), Sylvie Lewis (20) May 10, 1990 The Thirteenth and Final Episode of Season 1. After competing in all four Zones, the remaining contestants entered the Crystal Dome, a 16-foot-high (4.9 m) replica of the 'time crystals' surrounded by a seven-foot circular moat and entered by a 3-foot-wide (0.91 m) 'drawbridge' which was hydraulically retracted once the team were inside. Similarly, one of the Dome's triangular panels was hydraulically opened and closed to let the team enter, then lock them inside. Inside the Dome, gold and silver banknote-sized 'tokens' made of foil were blown around from beneath the wire mesh floor by six huge fans mounted on a slowly rotating giant turntable, leading to O'Brien's catchphrase, occasionally delivered in a cod American accent: "Will you start the fans, please!" or Tudor-Pole's various elaborate intros, for example "Let the mighty winds blow!" In the Dome, and after the fans and turntable were up to speed with all the tokens swirling around, the team's aim was to grab the tokens from the air and post them into a roughly house brick sized clear plastic container mounted at waist height on the outside of one of the dome's panels. Tudor-Pole called it The Cosmic Pyramid, while O'Brien termed it The Letterbox. The container had a pneumatically-operated door on the inside, marked with a red saltire-shaped cross, which opened when the collection time started and closed when time was up.